Fundamentals of Computational Swarm Intelligence provides a comprehensive introduction to the new computational paradigm of Swarm Intelligence (SI), a field that emerged from biological research, and is now picking up momentum within the computational research community. Bio-inspired systems are becoming increasingly important research areas for computer scientists, engineers, economists, bioinformaticians, operational researchers, and many other disciplines. This book introduces the reader to the mathematical models of social insects collective behaviour, and shows how they can be used in solving optimization problems. Examines how social network structures are used to exchange information among individuals, and how the aggregate behaviour of these individuals forms a powerful organism. Introduces a compact summary of the formal theory of optimisation. Outlines paradigms with relations to SI, including genetic algorithms, evolutionary programming, evolutionary strategies, cultural algorithms and co-evolution. Looks at the choreographic movements of birds in a flock as a basis for the Particle Swarm Optimization (PSO) models, and provides an extensive treatment of different classes of PSO models. Shows how the behaviour of ants can be used to implement Ant Colony Optimization (ACO) algorithms to solve real-world problems including routing optimization, structure optimization, data mining and data clustering. Considers different classes of optimization problems, including multi-objective optimization, dynamic environments, discrete and continuous search spaces, constrained optimization, and niching. 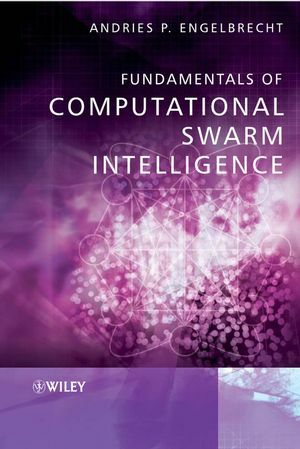 The interdisciplinary nature of this field will make Fundamentals of Computational Swarm Intelligence an essential resource for readers with diverse backgrounds. In addition, it will be an excellent reference for computer scientists, practitioners in business or industry and researchers involved in the analysis, design and simulation of multibody systems. 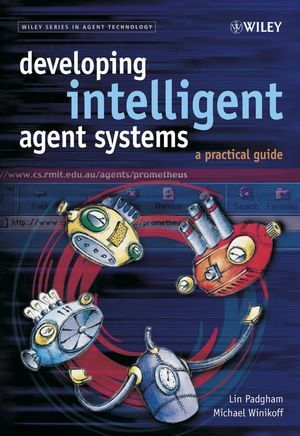 Advanced undergraduates and graduate students in artificial intelligence, collective intelligence and engineering will also find this book an invaluable tool. His areas of expertise include: artificial neural networks, swarm intelligence, evolutionary computation, data mining and artificial immune systems. He has been active in this area since 1994 and he is one of the few people in the field leading a very active research group in Swarm Intelligence, specifically in Particle Swarm Optimization (PSO). Particularly he is currently developing a number of new PSO approaches which are unique contributions to the field. His research group has produced about 15% of the total number of articles on PSO. 2. Optimization Problems and Methods. 2.1 Basic ingredients of optimization problems. 2.5 General conditions for convergence. 8. Introduction to Evolutionary Computation. 8.7 Evolutionary computation versus classical optimization. PART III: PARTICLE SWARM OPTIMIZATION. 14.1 Convergence proof for basic PSO. 14.2 PSO with guaranteed local convergence. 14.3 Global convergence of PSO. 15. Single-Solution Particle Swarm Optimization. 15.1 Social based PSO algorithms. 16. Niching with Particle Swarm Optimization. 16.1 Niching capability of basic PSO. 17. Constrained Optimization Using Particle Swarm Optimization. 17.3 Convert to unconstrained problems. 18. Multi-Objective Optimization with Particle Swarms. 18.2 Basic PSO versus MOO. 19. Dynamic Environments with Particle Swarm Optimization. 19.2 PSO solutions for dynamic environments. 19.3 Performance measurement in dynamic environments. 19.4 Applications of PSO to dynamic problems. 20. Discrete Particle Swarm Optimization. 20.4 Design of combinational circuits. 21. Particle Swarm Optimization Applications. 21.5 Scheduling and planning applications. 21.8 Applications in power systems. 23. Ant Colony Optimization Meta-Heuristic. 23.1 Foraging behaviour of ants. 23.2 Simple ant colony optimization. 24. General Frameworks for Ant Colony Optimization Algorithms. 25. Ant Colony Optimization Algorithms. 25.1 Single colony ACO algorithms. 26. Ant Colony Optimization Applications. 28. Ant Colony Optimization Convergence. 28.1 Convergence proofs and characteristics. 29. Cemetery Organisation and Brood Care. 29.1 Basic ant colony clustering model. 29.2 Generalized ant colony clustering model. 29.3 Minimal model for ant clustering. 30.1 Division of labor in insect colonies. 30.2 Task allocation based on response thresholds. 30.3 Adaptive task allocation and specialization. B.1 Part I - Optimization Theory. B.2 Part II - Evolutionary Computation. B.3 Part III - Particle Swarm Optimization. B.4 Part IV - Ant Algorithms.